On January 17, 2017, the Pennsylvania Department of Health (“DOH”) released grower/processor and dispensary permit applications (“Applications”), which can be found on Pennsylvania’s Medical Marijuana Program website. DOH will accept Applications from February 20 – March 20, 2017, and will begin taking questions about the Applications on February 8, 2017. Other highlights regarding the application process are set forth below. 12 grower/processor permits will be issued. 27 dispensary permits will be issued. Two grower/process permits will be issued in each of the six regions in the Commonwealth. The maximum number of dispensary locations in each region (by county) is set forth in the Applications’ instructions on page two. Each applicant will receive a weighted score out of a maximum number of 1,000 points. The Applications require information regarding, among other items, an applicant’s diversity plan, background information about principals, financial backers, operators and employees, capital sufficiency, an applicant’s plan of operation and an operational timetable, and an applicant’s anticipated community impact. The non-refundable application fee for growers/processors is $10,000, and the initial permit fee for growers/processors is $200,000 (both payable with the Application). The non-refundable application fee for dispensaries is $5,000, and the initial permit fee for dispensaries is $30,000 per dispensary location, for up to $90,000 (both payable with the Application). 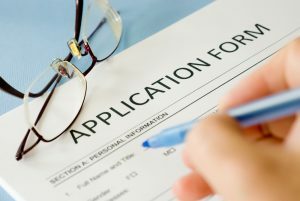 A rejected Application would be returned to an applicant with the initial permit fee. DOH may reject an Application that is received after March 20, 2017 or without a U.S. Postal Form 3817, which is required as proof of an applicant’s mailing date. The DOH will post FAQs regarding the Applications on its website. Chris joined Cozen O’Connor’s Philadelphia office in 2014 as co-chair of the Health Care Practice Group. Prior to joining the firm, Chris served as deputy general counsel to Jefferson Health System and general counsel to the system’s accountable care organization and captive professional liability insurance companies. The Pennsylvania Department of Health (“DOH”) Bureau of Laboratories (“Bureau”) recently announced that it will begin to phase-in enforcement of Act 122, which amended the Pennsylvania Clinical Laboratory Act (“Lab Act”), even though Act 122 became effective on December 18, 2013. The Bureau also issued additional guidance regarding Act 122 in its Frequently Asked Questions, Volume 1 and Volume 2 (“FAQs”).